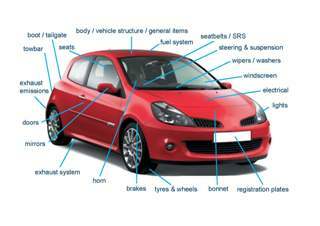 Brickfield Motors carry out a full MOT Testing service. If you would like to book an MOT with us, or book an MOT along with a pre-MOT service, please give us a call or email to arrange a suitable time. Their condition, operation�and security. Headlamps for aim. It�s condition and the driver�s view of the road. If your vehicle has failed the test, you�ll be given a failure document with reference to this manual. You can watch the test from a designated viewing area but you are not allowed to interrupt the tester while he is working.